Although it has been noted and denounced for years, women remain underrepresented in the fields of science and research. Despite the existence of disparities between countries, the underlying trend remains the same: the level of education of young women is increasing without significant effects on the number of researchers or laureates in the sciences. According to UNESCO, only 30% of researchers worldwide are women. This average nevertheless hides significant regional divergences: they are 63% in Bolivia, 26% in France and 8% in Ethiopia. Not only are there few women researchers, but they are becoming scarce in engineering and technology. In the Republic of Korea, for example, only 17% of researchers are women, among whom just 9% are in scientific fields. These percentages have been stagnant for years while at the same time more women are getting a university degree. They are even getting ahead of men, according to Statistics Canada 2016, in the STEM (science, technology, engineering and mechanics) streams. In other words, as they progress through their studies, women – by choice or by constraint – abandon them or branch off from them. In Sweden, for example, 60% of undergraduates are women, then 49% doctoral students and finally 36% researchers. These differences, or even discrimination, can also be seen on the job market: men are turning more to the private sector (pays better and more rewarding for some people), while women are more likely to pursue a career in the government and university world, as well illustrated in Argentina – while 52% of researchers are women, only 29% of them work in the private sector. 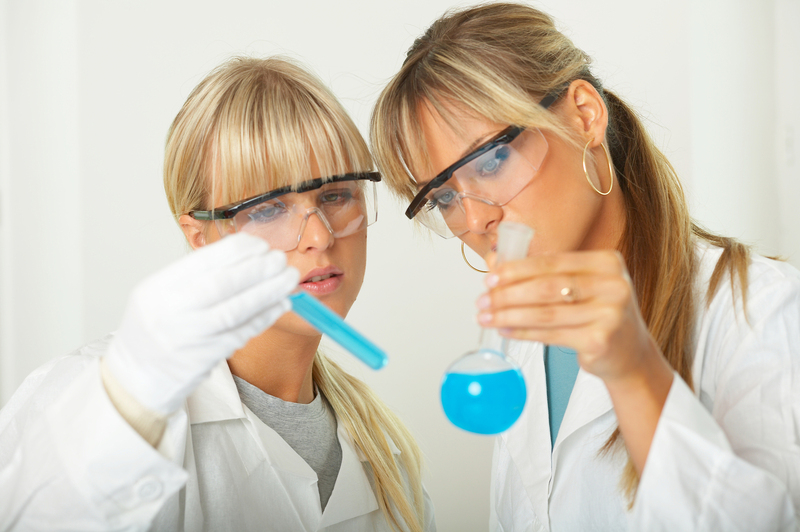 How can it be explained why so few women have access to high positions in scientific research? Each step seems to have a lot of obstacles. Young women have to be sufficiently motivated and convincing to overcome certain prejudices; as students they have to retain their motivation despite easier choices that may be offered to them; as employees they must deal with the eternal difficulty of work-family balance. Once they have managed to deal with all these obstacles, some of them are belittled by their male colleagues, such as Tom Hunt, a Nobel laureate in biology, who claimed that the presence of women was detrimental – “either the men fall in love with them, or they cry when they are criticized”. Worse than being belittled is the ignorance expressed by the Matilda effect, an author who noticed that many male researchers take credit for the discoveries of women, ignoring their actual involvement in the experiments and research work… Lise Meitner (nuclear fission) in 1938 and Dame Jocelyn Bell Burner (pulsar) in 1967 paid the price at their expense – it was their male colleagues Otta and Hewish respectively who were awarded the Nobel prize. What are the solutions? We all have a role to play, beginning with the schools trying to interest girls from a young age to be interested in science. Companies must also be careful not to return to a past image of women (some artificial intelligence image banks associate women with domestic tasks and men with sports) and international organizations can give women credit by awarding them with the Nobel prize (only 17 women received a Nobel science prize since 1901, compared to 583 men) or by promoting them, like UNESCO which has launched #WIKI4WOMEN for everyone to create or expand a woman’s biography.